Rent a stunning photo booth experience. 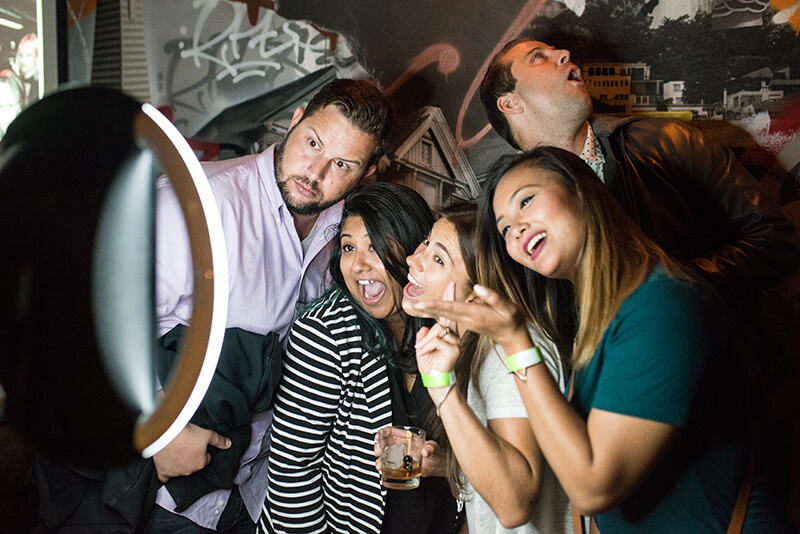 Your event is anything but ordinary, and it deserves an extraordinary modern photo booth to capture the moments. Our nationwide full service and self-serve rentals are an ideal solution if you need Simple Booth HALO® for a single event or want to give it a test drive before you buy. Coordinating and planning your event doesn't have to be stressful. 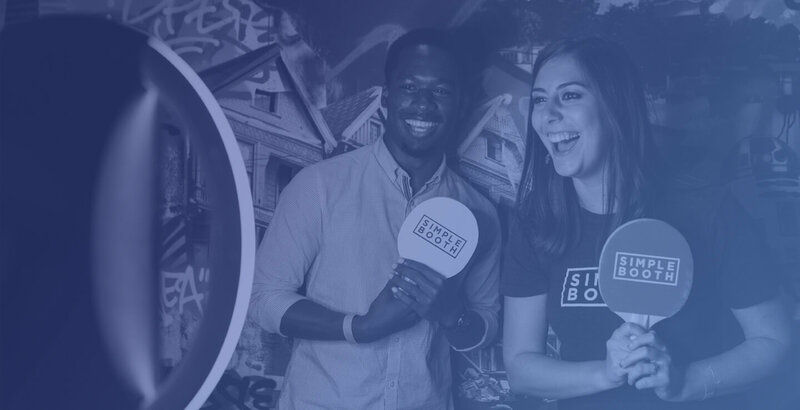 Discover why hundreds of companies and individuals choose Simple Booth® to setup and manage their photo booth experience from start to finish. An experienced on-site team member will keep you stress-free and help your guests capture great pics. Every rental package includes custom design for your brand through the experience and all HALO features. Optional add-ons include a printed or green screen backdrop, props, printer or Live Feed projection of photos in real-time. Looking to create your own photo booth experience on a budget? We’ll design your branded app preset, ship you as many HALOs as you need and provide on-call support to ensure your event runs smoothly. 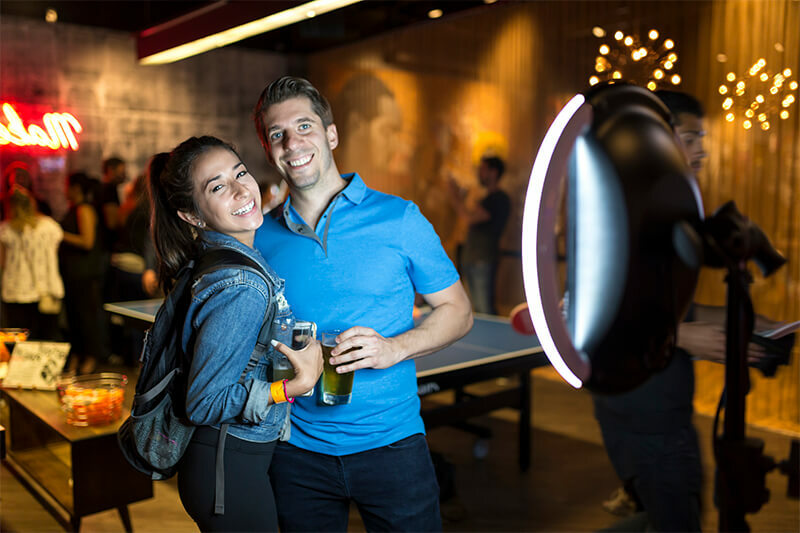 You’ll enjoy all of the features of HALO and add-ons like props or Live Feed to take your event to the next level with the support of a Simple Booth expert. Is your event coming up quickly? We respond fast and handle last minute events all the time. Inquire now to find out availability and lock in your HALO photo booth. We're here to help make your event a success!